LVM can simplify your disk management by allowing you to easily expand disk space across multiple disks. So if the root file-system was running out of space we can simple add more space into LVM. 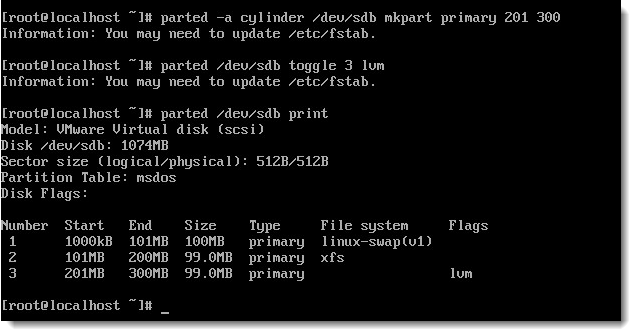 Expanding a file-system across many disks does not add fault-tolerance and you may need to consider the underlining RAID structure of the disks you add in. Using the command line is quick, effective and essential in Linux administration. Using LVM, Logical Volume Management, allows for volumes to dynamically grow as extra partitions or disks can be supplied to support the existing volume groups. These are common on SANs and in our data-centers. The video then takes you through the creation of a logical volume structure on SUSE Linux Enterprise Server 11 from start to finish. Don’t forget to make sure the LVM service is enabled.